The manuscript that follows is an account of a vision relating to the nature of the Ruach, the crossing of the Abyss, and of what is found beyond. In order to achieve a full understanding of what is given here, it is helpful to be familiar with Liber Al vel Legis, also known as The Book of the Law. In addition, the system of correspondences on which the vision is based is not the traditional method, as used by the Golden Dawn and its successors. Instead, reference should be made to the system presented by Frater Achad (Charles Stansfeld Jones). Achad's system varies from the G.D. system in that the paths are assigned to radically different positions on the Tree of Life. A diagram of Achad's version of the Tree is in the frontpiece of his book The Anatomy of the Body of Sad- Reference to this diagram will help to understand certain portions of the vision. While the vision includes a description. from one viewpoint. of the crossing of the Abyss, it should not be inferred that I am claiming to have achieved any particular Grade of initiation by virtue of having had this vision. Readers are welcome to draw their own conclusions as to my level of achievement, but such conclusions will be neither confirmed or denied. Since I have only a meager knowledge of the various systems of star-worship in existence today, I would welcome comments from persons having a knowledge of such systems. Comment from persons with other viewpoints is also welcome. All serious correspondence will receive an answer. Frivolous or insulting letters will be answered or not, according to the mood of the moment. 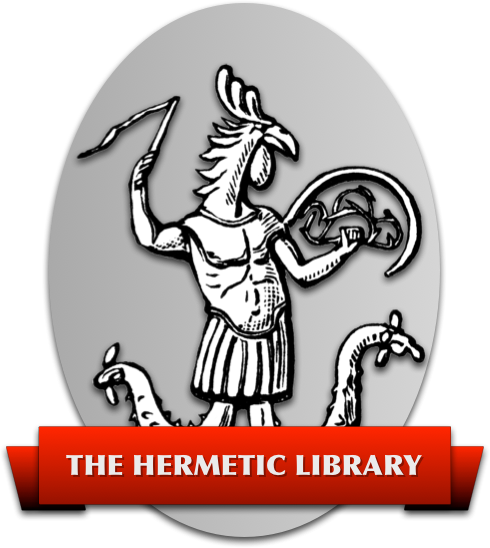 On the night 4/3/84 between the hours of 9:30pm and 12:00 midnight, I experienced a series of visions that seem of particular importance in relation to my work with Liber Legis and the Cabala. At the time these visions began, I was meditating on the sexual process in human beings, specifically on the subjective aspects of the act as it is experienced by the two sexes. It suddenly came to me that there is a progressive development in man from being the pentagram to being the hexagram. Natural man is viewed as the pentagram of the elements, as a being with five limbs, and five basic forces composing his being. These are the traditional elements of fire, air, water; earth, and spirit. The spirit aspect can either be directed towards the sexual forces (symbolized by the inverse pentagram) or it can be directed towards the spiritual realms. It was shown to me that Man can become developed to the degree that the spirit (defined as the consciousness aspect) can be directed to either the sexual or the spiritual side at will. or to both at the same time. When a man attains this degree of development, he becomes the hexagram. The sexual organs. male or female. become the sixth paint which is missing in the pentagram. There were then a series of pictures in which the relations between the downward-pointing triangle and the upward pointing triangle in the hexagram were demonstrated. It was noted that the forces of the two triangles are complimentary and act in opposition to each other when allowed to. They tend to push each other apart, causing Dispersion. It was then shown that for the triangle to unite into the hexagram in man. they have to be interlocked with each other. Otherwise, the downward-tending emotional forces (Luna, Mars, Jupiter) and the upward-tending mental forces (Saturn, Mercury, Venus) will act in such a way as to disrupt each other's effects. There was another series of pictures next which rapidly went through all the possible combinations of forces that can be derived from the hexagram. Now, it was pointed out to me that each of these forces in turn. as well as all other existing forces. are in their essential nature completely mysterious. No matter how many times we invoke, no matter how much we study the results of our invocations, we can never reach to understanding of what these forces are in themselves. All that we can come to understand is the manner in which they act upon our consciousness. The vision expanded upon this theme by taking each of my own areas of particular study, and demonstrating that I was no closer to understanding their essence than when I started twelve years ago. It had come to the point where I had masses of information about the effects of each force, and neat formulas +or the action of many of them, but no real clue to their essential nature. At this revelation. I experienced a sense of total failure of my efforts. All of the work I had done was revealed as being without any lasting purpose. All things that exist were seen as being unsolvable in themselves. and without reason. My thoughts were shattered at this. My mind made many attempts to make this failure comprehensible, but each reason that came to mind was immediately shown to be simply more of the same, the same circular reasoning of the Ruach, which never ends because it folds back an itself and reappears in a new form. Each thought was shattered in the moment of its formation. Finally, I was unable to generate any more thoughts, and I saw before me the Abyss, which is the perception of the total lack of any foundation for the activities of the Mind. All that I had felt to be myself was shown to be the Mind, ever re-entrant, never progressing beyond its own nature. I was shown that I had a choice: I could retain my hold upon the Ruach, continue to identify my Self with it, or I could jump out of it, be as free of it as I have said I wanted to be, by leaping into the abyss with no knowledge of what would confront me on the other side. Indeed, there was no guarantee that I would reach the other side. Holding onto the Ruach was futile, as had already been shown. There was no escape from it except to let go and leap. Thinking. “There must be SOMETHING on the other side”, I threw myself forward into the abyss. The crossing seems simple in retrospect, though in that first leap it seemed a jump into nowhere. As one jumps, all that one has perceived himself to be is stripped from him, leaving nothing but a bare and defenseless awareness, void of Self. There is a period where one is not anchored to one's jumping-off point, and where the far side is not in sight. One exists in an area where there is seemingly nothing. There is an opportunity to hesitate in the middle of the jump, but if you hesitate, you are lost. No matter how energetically you take off, you always end up having used just enough energy to get to the other side. Hesitation destroys your momentum, leaving you to +all into the endless deep, having nothing but yourself. In an alternative view, this hesitation is actually an attempt by the awareness to grab onto what it had just lost, to join itself again with the personal ego that it has just given up. This clinging is the danger that creates the Black Brotherhood. They have fallen into the Abyss, and, having not come to the other side they believe that there is no other side, that there is nothing beyond themselves. They lose the ability to perceive the meaning of events, as does everyone who crosses. Not having reached the other side, they never attain the replacement for this sense, which is the ability to perceive purpose or intent. Arriving at the other side resulted in a simultaneous experience of several different revelations. I will try to put them into some kind of consecutive order, but in practice there was no way to separate the times of their occurrence. Looking back from over the Abyss, you have the first chance ever to see the Ruach as a whole, to see from the outside the personality you have built through magickal efforts. This body of yours, made up of the Ruach. contains every experience you have had since your first moment of consciousness up to the time of your leap. Seeing my own personal self from this perspective, I thought of what purpose it might have served. It appeared to be ugly, darkly streaked with the results of pains given and received, failed thoughts and actions, distorted concepts. What could be the purpose of this mess? It was revealed to me why this Ruach, the entire conscious self of the incarnate life. was the true Beast, called 666. It is wild, uncontrollable from within, absorbing every fleck and mote of consciousness into its own schemes. This tendency to devour everything in sight is the reason for its being called the Beast. Then, while still perceiving the ugliness of the Beast, another image formed in tandem with it. There appeared before my eyes a vision of a beautiful star. Not a star as seen in our universe, but a crystalline star, brilliantly faceted. Every ray of the star was a line of light. Every flare and prominence was an incredible geometric form, changing constantly in detail, each change making it more brilliant than the last. Unlike our mundane stars, this star lives in a universe of brilliance, lighting up the farthest reaches with the light of its own existence. The star seemed to me to be so beautiful that I thought it must be the very antithesis of the Beast. But behold, I was cautioned to observe the events before me with care. I looked closer and realized then that for every streak of pain, joy, despair, hate, love, or whatever that occurred in the body of the Beast, there was a corresponding flash of brilliance, or a new growth of prominences, in the body of the Star. They were, in fact, one and the same thing! I was reminded of the myriad unsolvable mysteries I had earlier perceived. Each appearance of a new mystery, a new object, feeling, thought, or force in the material world was transformed into the shining rays of the Star, and each pain was a flash of beauty. This is the meaning of the important phrase in book I of Liber AL vel Legis: “Every man and every woman is a star”. Each being alive in the world is simultaneously incarnated as a star in this other universe. Rather, that star is our incarnation, viewed from the correct point of vantage. The purpose of each of us is to increase the beauty and the brilliance of the Stars that we are, by our experience of the ugliness, beauty, and mundanity of this world of Earth. The vision opened up so that a larger area could be seen, and there appeared a whole universe of such stars as we have been speaking of. I saw that any thing in our universe could produce a star of greater or lesser scale, depending on its degree of evolution and the degree of inclusiveness of its consciousness. The stars that are humans were all of the same scale. When I looked closer, I saw that each human star enfolded within itself the stars created by a myriad other sorts of being, from the atoms that make up our bodies, through the independent biomes of the bacteria and germs that inhabit us, to the larger stars of the organs of our bodies. Similar stars of a finer quality within the human star were produced by the forms we generate on the astral and mental levels. The human stars were enclosed within two greater stars, one that of the Earth-spirit, and one that of the Sun. The planets and other physical stars could be seen to exert their influence from outside the star of the earth-spirit. In all these stars, at all the levels, many different mathematical, geometric, visual, and astrological symbolic relationships are expressed. The expressions were manifest in the relations of the various rays of each star to its other rays. Any particular ray could be part of many expressions. The star as a whole encompassed and went beyond all of the expressions it contained in its completion. The space in which these stars live has a unique quality of its own. In it, all dimensions are absolutely flat. That is, the space does not exhibit that quality of being distorted around a large mass, as our own relativistic space does. It appeared more like the Newtonian or Aristotelian “absolute space”, which extends forever in all directions without curving around to meet itself. I could feel myself to be in a space that was not stressed or distorted in any way. By comparison with this star-universe, our own space seems to have the consistency of curdled milk, full of globs and thin spots. Then it was shown to me that the patterns of each star, and therefore the nature of its beauty, could be affected by the actions of the star's man in our mundane world. I was shown some examples of how personality changes could cause changes in the star's pattern. Then I was given the opportunity to cause some temporary changes to my own star through manipulation of the patterns I have created over the years to describe my personality. For instance, I could see what the effect would come of moving Venus out of its. semisquare aspect to the Sun in my astrological chart. and into various other angular relationships. “Oh beauteous Star, let us be identical, so that by at coming together we can dissolve all problems”. The intent that drove this prayer was that there would be an intermixing of effect from man to star and from star to man, so that one could be changed permanently by changing the patterns in the other. Nearly everything up to this point in the vision has been concerned with the Ruach as it is perceived from the path between Binah and Chokmah, which is the path of Tzaddi, The Star. in the system of symbols I use. At this paint in the vision I was instructed to leap back over the Abyss into the Ruach again. This was to show me that I could do so, and how to do it. This was important later in the vision. I leapt back to the Ruach, and back again into the Supernal triad. The next section of the vision was concerned with the relationships between the first three sephiroth, and the paths between them. The quality of the vision changed. Where before all was beauty and glory and abundance, now the ambiance of the vision was of abstract, Bach-like structure contrasted with a counterpoint of indulgent good humor. Many of the relationships revealed to me were shown in a +arm that does not convert into words with any clarity. Where I find a way to express them, I will include them in this narrative. Otherwise, just those parts that can be comprehended will be spoken of. First was a vision of Binah as the “doorstop” that prevents the expansion of the Ruach to encompass the Supernals. By covering over the Ruach, and by forcing any exit from the Ruach to come through it, Binah/Saturn maintains the stability of the system. Otherwise, the Beast would devour all of the Tree of Life. Again, there was a vision of the Star, but each point within the Star was now one of the forces arising in the Ruach. Each force was again shown as being impenetrable in its essence. But it is the combination of these mysteries that creates the lovely patterns of the Star. Chokmah and Binah were shown to me as being not like the star of the Ruach, but like point-sources of very intense radiation, which thrust laser-like lines of radiance outwards in all directions. Much like Chakra at the top of the head. Binah's wheel of radiance was shown to me first. It was lambent with purple and gold, with white and gold overlaying it. The power of the rays coursed through my body, and I felt that nothing could be of more power than this. But then the wheel of Chokmah came into vision from the right. Its lines of force were even more powerful, and were of a much finer rate of vibration. The white and gold became the predominant colors of the vision. The power of these two running through my spirit-body produced a reaction in my physical body. My heart began missing beats, every nerve seemed to be tingling with fire, and the connection between my spirit-body and physical body became weakened to the point where I knew I could die if I just absorbed a little more force. But I hung on at the place where I was. Suddenly, the rays of force from Chokmah and Binah relaxed and passed over beyond me. There stood revealed to my sight the center of Kether. Unlike the Second and Third sephiroth, it showed itself as a small star, but with a crown on it, and a hole in the center that was a gate to a larger world. Closer examination of the star of Kether revealed that it was made up of rays of power just as were Chokmah and Binah. But its rays were so densely packed that they seemed a solid surface to anything the size of myself. I was told that I could enter into Kether's star by shrinking the radius of my being. by making myself so compact that I could slip between the rays. I began to shrink in relation to the star of Kether. As I became smaller, I was drawn closer into Kether, so that rays streamed by me on all sides. Getting still smaller. I found that there was another shell of even more densely packed rays. in comparison with which I was still grossly large. The shrinking began to go at an accelerating pace. The farther I shrank, the faster yet I shrank. I had a sense of rushing urgent force drawing me ever closer to the hole in the center of Kether. In the meantime, the effects an my physical body were increasing, and I knew that if I went much farther, I would lose my physical body. Just as it seemed that I was going to shrink into the proverbial dimensionless point and pass on out of Kether into the beyond, I exerted my will and held back, forcing myself to stay within the area of the Tree of Life, forcing myself back down the Tree and into the Ruach. It seemed as if I was holding myself away from Kether by a line of will, holding it at a distance the way a man can brace himself against a sucking force a+ wind or water. Eventually I gained some distance from Kether, and it became easier to hold myself away from that dreadful pull. I came down into Tiphereth. and there the voice said: “The second side a+ beauty, that its attractiveness gives anchor to our will when will must be used elsewhere”. I was shown that the line of Will that I had extruded was the path of Shin, connecting Kether with Tiphereth. Tiphereth is the point of balance between the earth of Malkuth and the Heavens of Kether. it is the lowest point at which Will holds full sway over existence. The will anchors to it and uses it as a transformer. passing its force on into the lower worlds by proxy. I was reminded by the voice of the connection between this vision and the gematraic demonstration I had once made that the paths of Shin and Tzaddi together were the “props” or supports of the heavenly hexagram in the Tree of Life. Having stabilized myself, I returned to Kether. The shrinking again began to take place, but this time I did not resist it. The pull drew me down to a paint and I passed through Kether and out of this world. On the other side of the whole there was Nothing, literally. All that could be experienced was an absence of all that we deem to be “existence” in the world of the Tree. The Tree itself could still be seen, looking like a living crystal in the darkness. Of all else, there was naught. I remained a dimensionless point of awareness floating just above Kether in this nothingness. As I remarked on this, a voice said “Hadith”. I took this to indicate that Hadith is expressed in the Veils of the Negative as the point a+ intense concentration that makes the inflowing of force into Kether possible. Hadith was the Ain, nothing. Being without dimension, he is without observable characteristics, and is therefore “nothing”. Looking about away from Kether, I saw that my point was surrounded by a darkness of a curiously rich quality. It was as if the darkness had a sensory quality somewhat akin to thick velvet. There was something womb-like about it, as if it enclosed and nurtured me with a gentle warmth. At the same time, I could perceive no ending to it, no outer boundary. As I noticed this. the voice said, “Nuith”. I saw this as meaning that Nuit is embodied in the Veils of the Negative as Ain Soph. Without Limit, a universal or hyperuniversal plenum in which all events take place. The phrase “the stars in the womb of Nuit” came to mind. a paraphrase of something in Liber Al vel Legis. As I examined this darkness, I felt an outflowing of force from myself. and an inflowing of force from around me. The darkness became enlightened with an amazing light that seemed to be all colors simultaneously, but with each color still individually identifiable. Sheets and flames and tongues of light flew all about in a bewildering variety,, filling all of the nothingness out to its non-existent limits. The voice said “Ra-Hoor-Khuti”, meaning, Ra-HoorKhuti is the limitless light, or Ain Soph Aur of the Veils if the Negative. He is the child of the darkness and of the point of awareness that enlivens the dark. He is the source of the energy with which all of the Tree of Life was built. This power of the light grew stronger and stronger, and again I felt that my body was failing. I was given the choice again: Die now, and learn the full revelation, or return to the Tree and save the full truth for a later time. My body was not presently able to withstand the full perception of the Ain. I returned to the top of Kether, and used my anchor in Tiphereth to pull me back into the Tree. Coming into Kether again, it seemed as if I had absorbed so much force from the Ain that I was going to die despite my efforts not to. My astral body would not phase in with my physical body. It resisted the linkage seemingly because the body could not hold all that force. I could feel it radiating out into the world, and even the small part that did come into the body was enough to send the heart into fibrillations. With a sense of desperation, I forced myself into the body, knowing that if it was to be stabilized again. my direct conscious attention to its functioning was necessary. Using my will, I caused my heart to slow to its normal pace, which it did suddenly, between one heartbeat and the next. The remainder of the force I had carried back from the Ain eventually radiated off, allowing my body to come fully back to normal. I felt my consciousness slowly coming back down into the Ruach. I felt that perhaps I had missed something by not taking the plunge and going fully into the Ain, no matter the consequences. I knew that I would not be able to carry the scope of that revelation back into my normal consciousness, and I regretted it.